It's official. The first heat wave of summer has struck, just as we are ringing in the new season. If there is anything worse than being hot, it's people telling you how hot it is. Or perhaps worse than that, the dreaded, cliche question, "hot enough for 'ya?" The only appropriate use of that question is when it is applied to some culinary delicacy that must be served at an accurate temperature. When used in reference to the weather it only serves to remind a poor, sticky, sweaty soul of exactly how miserable it is outside! Vanilla doesn't seem so boring when it's this good. 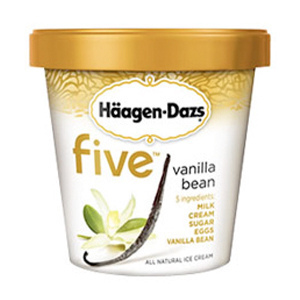 In our taste test, it was a close call between Haagen-Dazs Five Vanilla Bean and the brand's regular vanilla bean flavor until we noticed that Five had 70 less calories and 7 less grams of fat per serving. Rarely does a healthier version of something taste as good as the more caloric version. A true gem! 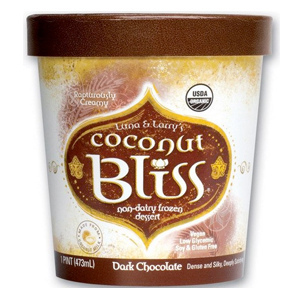 There are so many healthy buzz words associated with this one (low glycemic, gluten free, dairy free, soy free, vegan) that it's hard to imagine it could actually taste good, too. But try it without reading the packaging and you'll be shocked at how well it mimics smooth, rich gelato. Thanks to coconut milk, organic chocolate and agave, you'll please the vegans and--we swear--everyone else with this dairy-free, Mounds-like choice. You'll get past the sticker shock ($15 for 20 ounces?!) after the first bite.It tastes like real Italian gelato: The texture is airlessly creamy, and the flavor tastes of rich roasted hazelnuts, with zero artificial ingredients. For people who like a lot of stuff in their ice cream (us, sometimes), no one does it better than Ben & Jerry's. 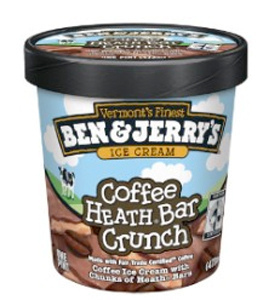 That's especially true in this flavor, a marriage of coffee ice cream and a criminally underrated candy: Heath Bar Crunch. Put out the candy-filled classic at a sundae bar and watch how fast it disappears.